Delivering DOCSIS services, whether it is 64 QAM upstream (3.0) or orthogonal frequency division multiplexing (OFDM) 1024 (3.1), is often possible with minimal investment and network changes. 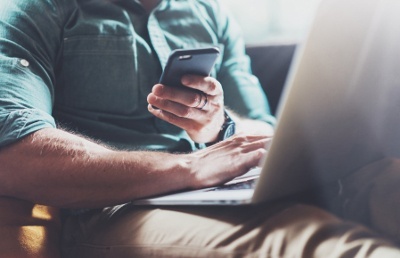 However, to maximize delivery quality with the highest data speeds requires an in-home network resilient against interference and noise contributors. Where is your performance for the next generation of services? 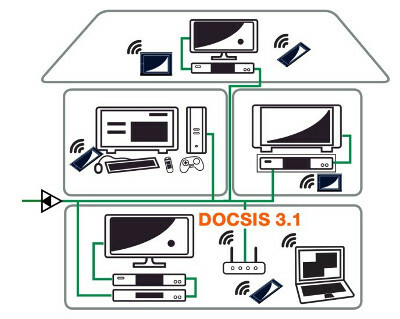 There are several obstacles to delivering DOCSIS technologies, including the common effects of loose connectors, signal level discrepancies and ingress/ egress. In addition, the peripheral wireless technology, long term evolution (LTE), is present in homes within the same spectrum (regionally specific) as broadband cable systems. The question that cannot be avoided today is: "How do we consistently reach the DOCSIS 3.1 performance required while meeting the growing capacity demands?" Experience over the past few decades has proven that in-home architectural issues, typical installation errors and in-home connectivity components contribute significantly to overall network performance falling below acceptable threshold levels. These issues have been inherited from legacy operators, in-home DIYs, and common craft errors that are simply human nature. There is a performance threshold for every major electronic component in the network. Installation errors, as well as the increased number of passive devices, affect performance – making it challenging to effectively maximize the DOCSIS 3.1 throughput. With the increasing number of revenue generating units (RGUs) per home comes additional components in the form of connectors, passive splitters, drop amplifiers, coaxial cables, as well as modems and set-top devices. Additional RGUs typically require signal splitters, which hinder the signal to noise ratio. It also increases the total cost of ownership (TCO) through more service calls - a systemic problem that is difficult to track for a single component. It becomes a cumulative effect, whereby more devices installed create additional noise contributions, thus a greater funneling effect in the return path. The quality of the components used to connect multiple home devices impacts performance with respect to electrical integrity and component reliability. RF ingress and egress from components that have poor RF shielding enable interference and noise that funnels in the return path to the head-end or cable modem termination system (CMTS). This RF noise degrades performance, increases error rates and diminishes the integrity of data flow. The greater the number of components requiring installation, the greater the chance for installation errors. For example, when connectors are left loose or are improperly installed, the RF performance is negatively impacted. Again, with the increase in self-installations comes an increase in craft errors resulting in service calls. The loss of a ground path causing common path current from loose connectors can significantly degrade signal return loss and insertion loss, creating reflections that generate data transmission errors and hinder performance. Perhaps the most common service call condition is caused by loose connectors. Over 50 percent of all indoor connectors are less than finger-tight. Often a connector may be loose with an interrupted ground such that the connector post and nut are floating or uncoupled. This causes very high resistance and generates immediate signal level degradation, as well as ingress and egress. To control and increase in-home performance requires a focus on, and evaluation of, the components in place today. It is vital to be cognizant of the current performance of all components, specifically the integrity of the F connectors, coaxial cable, passives (such as splitters), and F-81 line splices. Root cause identification is important as it leads to product and process improvements. To control, stabilize and improve in-home performance requires a focus and evaluation of the components in place today. These vary greatly from one home to another as a result of the initial installation, architecture required at the time of installation(s), and the variation of craft and component quality installed by operators and home owners. Today's advanced PNM systems can often direct technicians to root causes, identifying loose connectors, moisture damage, inadequate or damaged coax, and passive components, to name a few. Knowing the root cause provides valuable insight to drop hardening/ performance improvements. A standard operating procedure outlining architectural guidelines and test parameters ensures a uniform approach is taken, in order to reach the desired threshold. Signal levels at the CPE, to include both forward and return, should be in the desired range. DOCSIS levels from the cable modem should also be within the desired range as these vary greatly based on the passive loss variations in the return path. Signal to noise ratio (SNR) and modulation error ratio (MER) are also commonly tested. Many of today's PNM systems are constantly monitoring all network devices via DOCSIS parameters. Using logic, the operator is directed to issue areas that when repaired provide a cumulative performance improvement for numerous subscribers. An integrity check can now be registered within the management system and monitoring continues automatically. It is imperative to use quality components that meet or exceed current and future performance requirements. This involves upgrading devices with bandwidth limitations and ensuring that electrical/ mechanical performance specifications are verified in accordance with network requirements. Bandwidth limitations may vary greatly within the home from "hidden" components, such as the coax within the walls, to the simple splitters installed by the home owners to add additional devices (routers or TVs, for example). The component quality must take into account the craft sensitivity of initial installations and reconnections commonly conducted by subscribers. It is essential that products meet or exceed mechanical and electrical performance recommendations, not to exclude the areas of bandwidth (upper and lower frequency limits), RF shielding effectiveness, return loss, insertion loss and stability in varying environmental conditions. Without following these best practices – investigating the drop plant to discover root causes of issues and selecting the best available technology within components planned for future requirements – service calls due to plant network issues will continue. Improving the drop plant significantly increases the likelihood of a successful DOCSIS 3.1 launch and a more profitable future.